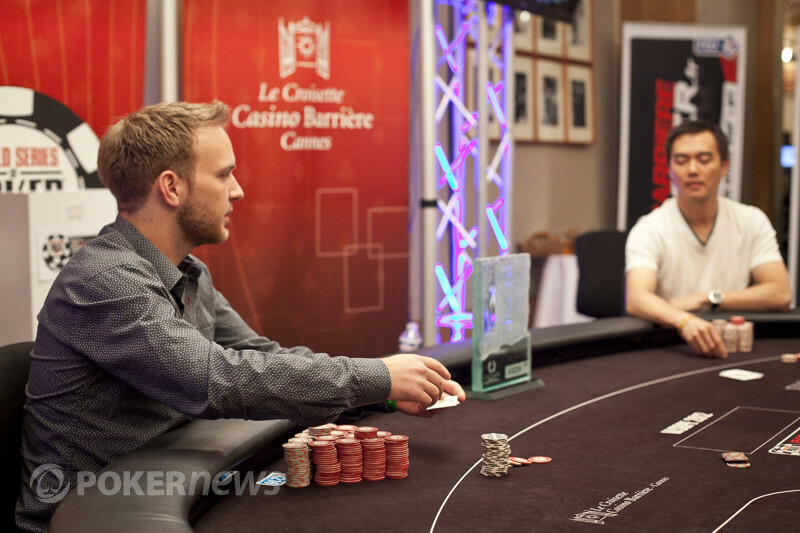 Juha Helppi check-raised the paired flop after Kristijonas Andrulis fired 6,500. Helppi made it 20,000 to go, and Andrulis called. The turn was the , and Helppi checked. Andrulis fired 21,000, and Helppi check-raised all in for 65,500. Andrulis took a few moments, then called. The river was the to finish Helppi with a full house and double him up.